It’s already the 10th and final week of our winter CSA farm share! We’ll have a month or so before our regular share kicks in to finish up our leftover veggies and make new fruit & veggie year resolutions. We’ll also get to choose our own seasonal veggies for awhile, reversing our usual pattern of receiving veggies before planning the menu. This bit of relaxation in late winter is most welcome, especially since I’ll also be creating a “pot” garden from seeds. Because it’s the end of the season, and we love Live EarthFarm apples, I ordered 15 lbs. extra. 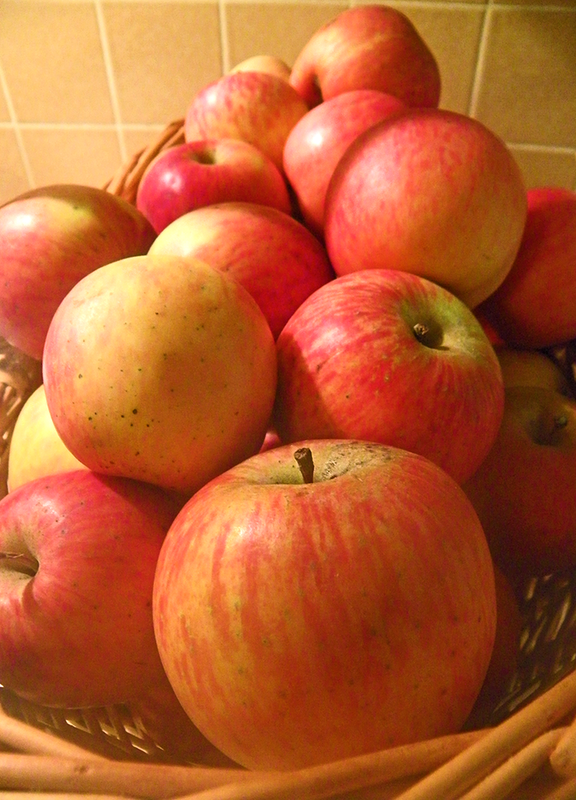 More than the usual quantity was included in our share this week, so we currently have 53 apples on hand. During the following weeks I plan to experiment once again with an apple cake like my Gram used to make. She didn’t leave a recipe to follow, and my efforts to duplicate this cake have been an ongoing project throughout the years. More green cabbage means that I have plenty to perfect the un-stuffed cabbage casserole from a past week, at last. I’m altering a lemony root veggie soup recipe to include radishes and eliminate potatoes, and Bruce is inspired to make a chard and carrot “hot salad” with lemon or vinegar-based dressing. I also hope to give my Chicken Paprika, a stroganoff-like recipe I created a couple years ago, another whirl. Hope that you can put some late-winter spark in your cooking this week. Some seasonal lemons might help get you started.